You will find below the horoscope of Rachel McAdams with her interactive chart, an excerpt of her astrological portrait and her planetary dominants. Horoscopes having the same aspect Mercury conjunction Neptune (orb 0°05'): Vladimir Putin, Nicki Minaj, Alyssa Milano, Jake Gyllenhaal, Jeff Buckley, Meg Ryan, RuPaul, Amy Lee, Julio Iglesias, Nelly Furtado, Neil Armstrong, Patricia Kaas... Find all the celebrities having this aspect. Horoscopes having the same aspect Venus square Jupiter (orb 0°54'): Monica Bellucci, Harry Styles, Catherine, Duchess of Cambridge, Jack Nicholson, Ian Somerhalder, Kris Jenner, Louis XIV of France, David Lynch, Amy Lee, Morgan Freeman, Dolly Parton, Amber Rose... Find all the celebrities having this aspect. Celebrities born the same day: Sophie Marceau, Jeff Buckley, RuPaul, Martin Scorsese, Danny Devito, Rock Hudson, Kat Deluna, Florence Cassez, Lauren Hutton, Astrid of Sweden, Daisy Fuentes, Louis XVIII of France... List of all the celebrities born on November 17. Celebrities clicked on in real-time: 577,165,706 times. Rachel McAdams (born November 17, 1978 (birth time source: The Rachel McAdams Handbook - Everything You Need To Know About Rachel McAdams by Emily Smith)) is a Canadian actress. She is known for her roles in the Hollywood films Mean Girls, The Notebook and Wedding Crashers, which all proved to be successful at movie theaters. McAdams was born in London, Ontario and grew up in nearby St. Thomas. Her father, Lance, is a truck driver, and her mother, Sandra, is a nurse. She has a younger brother, Daniel, and a younger half-sister, Kayleen. She took up competitive figure skating at the age of four and acting at age thirteen at a summer theater camp in London, Ontario named Original Kids. Here are some character traits from Rachel McAdams's birth chart. This description is far from being comprehensive but it can shed light on his/her personality, which is still interesting for professional astrologers or astrology lovers. 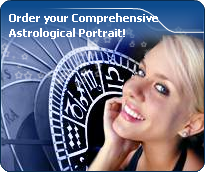 In a matter of minutes, you can get at your email address your astrological portrait (approximately 32 pages), a much more comprehensive report than this portrait of Rachel McAdams. Rachel McAdams, the nocturnal North-eastern quadrant, consisting of the 1st, 2nd and 3rd houses, prevails in your chart: this sector favours self-assertion and material security to the detriment of your perception of others. You consider self-transformation to be a hazardous adventure. You are inclined to seek stability and you tend to protect yourself with your actions. Possession, acquisition but also communication, without opening up too much, are part of your deep motivations. You are rather autonomous and constant, however it is important that you pay more attention to others, so that you can improve your outcomes. Rachel McAdams, Fire is dominant in your natal chart and endows you with intuition, energy, courage, self-confidence, and enthusiasm! You are inclined to be passionate, you assert your willpower, you move forward, and come hell or high water, you achieve your dreams and your goals. The relative weakness of this element is the difficulty to step back or a kind of boldness that may prompt you to do foolish things. The predominance of Water signs indicates high sensitivity and elevation through feelings, Rachel McAdams. Your heart and your emotions are your driving forces, and you can't do anything on Earth if you don't feel a strong affective charge (as a matter of fact, the word "feeling" is essential in your psychology). You need to love in order to understand, and to feel in order to take action, to the detriment of a certain vulnerability against which you should learn to fight. Earth qualities are under-represented in your chart, with only 4.69% instead of the average 25%. Deficiency in Earth may indicate that you have no interest in material and concrete values. It is likely that you live too much in your heart or in your mind, or even in your enthusiasm! The fact remains that you may end up in tricky situations, due to your lack of good sense or forethought: material life is unavoidable even if you are rather idealistic, dreamy, or easily content. You must tackle concrete life necessities, for fear of... being forced to cope with them, later, in much more unpleasant ways! Your angular houses, namely, the 1st, 4th, 7th and 10th houses, are very emphasized in your chart, Rachel McAdams: according to the Tradition, they are the strongest and most dynamic houses. Should the rest of your chart concur, angular houses suggest that you are an enterprising, energetic and assertive woman. Indeed, angular houses are said to generate impulsions and to give a powerful and domineering personality. The three most important planets in your chart are Jupiter, Pluto and Venus. After this paragraph about dominant planets, of Rachel McAdams, here are the character traits that you must read more carefully than the previous texts since they are very specific: the texts about dominant planets only give background information about the personality and remain quite general: they emphasize or, on the contrary, mitigate different particularities or facets of a personality. A human being is a complex whole and only bodies of texts can attempt to successfully figure out all the finer points. Your thirst for learning is considerable, Rachel McAdams, and you can spend a lifetime studying languages, geography, philosophy and law, particularly. You are open-minded and you want to abolish all kinds of frontiers. The humanist, who is dormant in you, may turn into a “frequent traveller” reaching out to others in order to understand them and communicate with them. You express your opinions and your beliefs with honesty and clarity and likewise, you receive others' views with enthusiasm. You have numerous centres of interest and you may be perceived to be superficial, heedless and over-optimistic. However, if you manage to control your tendency to scattering, all your encounters, all your discoveries can positively influence your philosophical life approach. You cannot dissociate love from passion, Rachel McAdams. Your feelings are immediate, imperious, intense, and it is absolutely impossible for you to think of an amorous relationship without fusion, without the irresistible desire to know everything about your partner: emotions, feelings, sexuality, everything must be experienced in a possessive, absolute and unrestricted way. Actually, your feelings are as complex as they are deep. You seldom love, but when you do, a burning ardour and its torrid, violent frolics consume your couple. It is obvious that such powerful feelings may lead to jealousy and absolute exclusivity, almost bordering on the will to control your partner. If your relationship is genuine, all is fine. But if it is not the case, there are real dangers of shared wounds within your couple; it is hard to reconcile passion with tranquillity and it is clear that for you, sentimental serenity involves a partner who is either as complex as you and who instinctively understands you, or who is complementary, and as calm and steady as your impulses are intense and deep. The ruler of the Ascendant, Rachel McAdams, is Pluto. It is posited in the sign of Libra and endows you with diplomacy and a deep sense of justice. Amiable, courteous, and moderate, nothing pleases you more than being able to help opposing parties reconcile, which encourages you to develop your power of seduction, or to flee with swiftness when you deem that the cause you stand up for is a lost cause. Rachel McAdams, you are a real Goliath and you often excel in sport; your thirst for conquests prompts you to constantly launch new challenges. The enthusiasm you put in your undertakings is perfectly well supported by your moral concepts and an idealism compatible with the values of the society you live in. You are pragmatic, enterprising and sometimes, naive. You do not pay attention to details and you launch various great adventurous projects that are all doomed to success. In a few rare cases, you can funnel your huge energy into more philosophical, even spiritual or religious enterprises, where your entire fieriness works wonders. On the sexual plane, your ardour and your spontaneity are your main assets. The danger is that you may spread yourself too thin in the sense that you may forget about faithfulness, particularly during the extensive faraway travels you are so fond of. This text is only an excerpt from of Rachel McAdams's portrait. We hope that it will arouse your curiosity, and that it will prompt you to deepen your knowledge of astrology, as well as to visit and use the wide range of free applications at www.astrotheme.com. Your Life Path is influenced by the number 8, Rachel, which indicates that your destiny hinges on financial successes, material undertakings, and power seizing. It is a path full of successes and failures, fortune and reversals of fortune. You must strive to control your thirst for material goods, and try to practice tolerance. Great achievements are possible if you choose a career in any sort of trade or business. This is how your qualities are likely to be best expressed: management abilities and above-average commercial sense. Traditionally, the number 8 is believed to favour material and financial matters such as asset management, investments, commercial negotiations, as well as social power. All these elements are most likely to be found at the centre of your life. Your thirst for power, added to some degree of bad luck, constitutes one of the major hurdles blocking your way. However, your determination, added to a deep spirit of conciliation, turns the number 8 into a very fulfilling one, that of extraordinary successes.